For more details or to RSVP, email iijs@columbia.edu. RSVPs are appreciated at a light kosher lunch will be served. Why does a family save its papers? How does the instinct for preservation defy wars, fire, and genocide; migration and conversion; family feuds; even a stubborn disconnection from the past? What do we preserve and what does it mean to those who find it? And what is lost to those of us—the great majority in this day and age—who no longer write letters and no longer have family papers to save? "A Sephardi Journey through the Twentieth Century" meditates on these questions whilst undertaking a voyage through the intertwined histories of Sephardi Jewry and the twentieth century—a century of stunning tumult for this community. 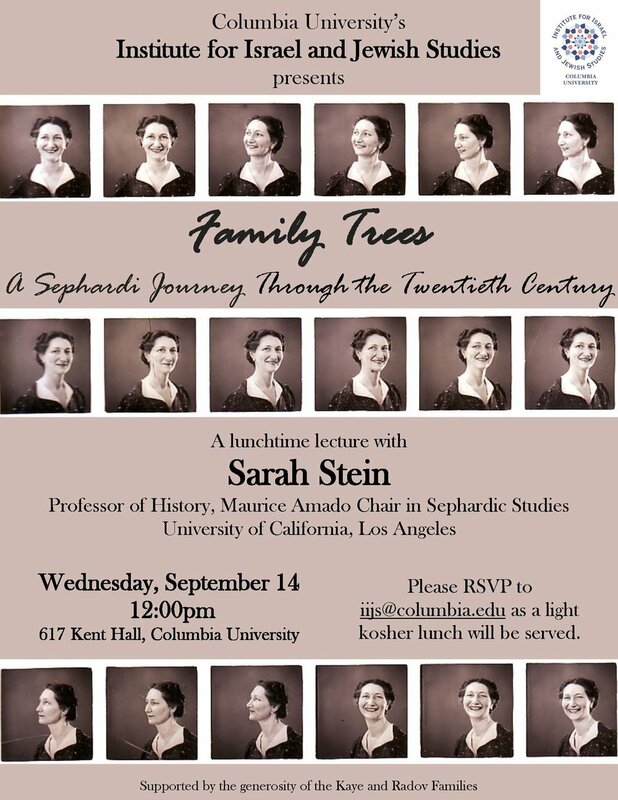 While it tells the history of a single family, this presentation is also the history of a collection: a reflection on how one family archive came to be built and preserved, and how it knit together a family even as the historic Sephardi heartland of southeastern Europe was unraveling.